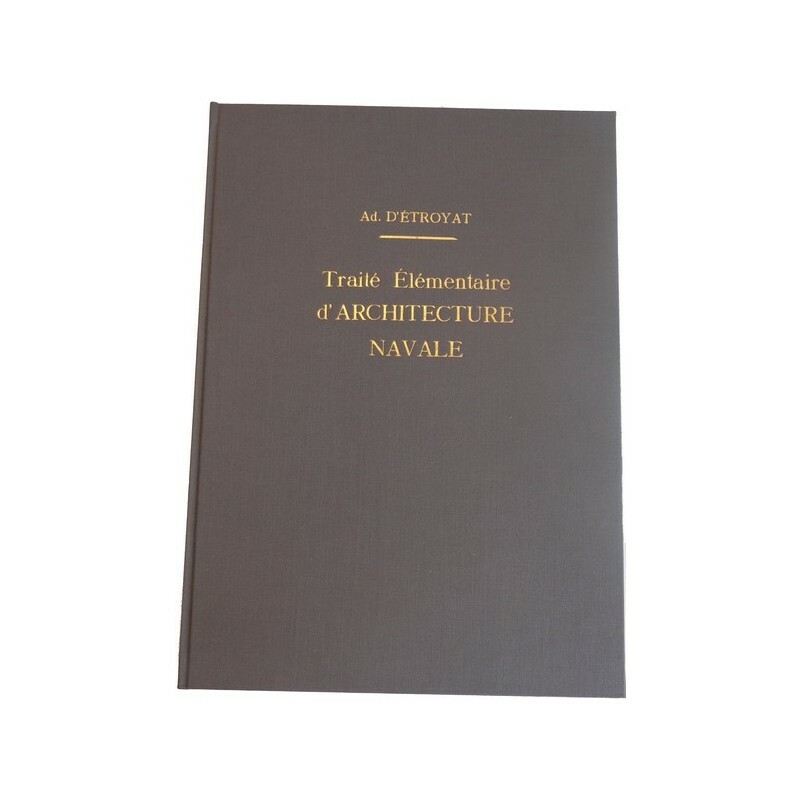 In French This extremely rare work is the best mid-19th-c. treatise of its kind: a compendium of all the practical information necessary for the design, construction, and arming of a commercial ship. 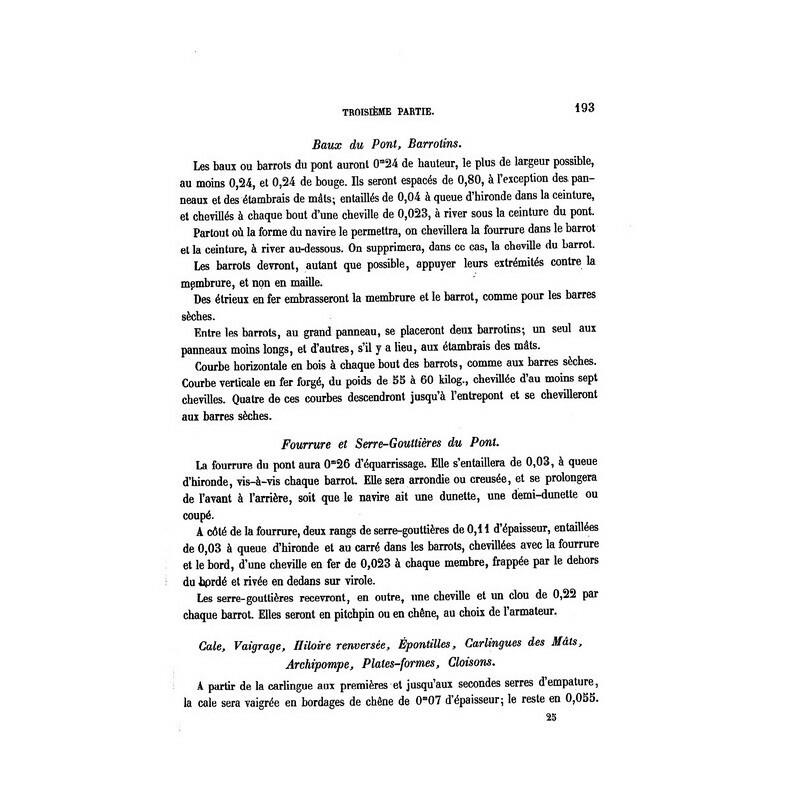 Its author, Adrien d'Etroyat, was taught by naval construction engineers from 1825 to 1839; he then turned his attention fully to the building of commercial ships in Lorient, as he put it in his own words, "the construction of about one hundred commercial ships was guided by my long experience directing the out-fitting of numerous ships." 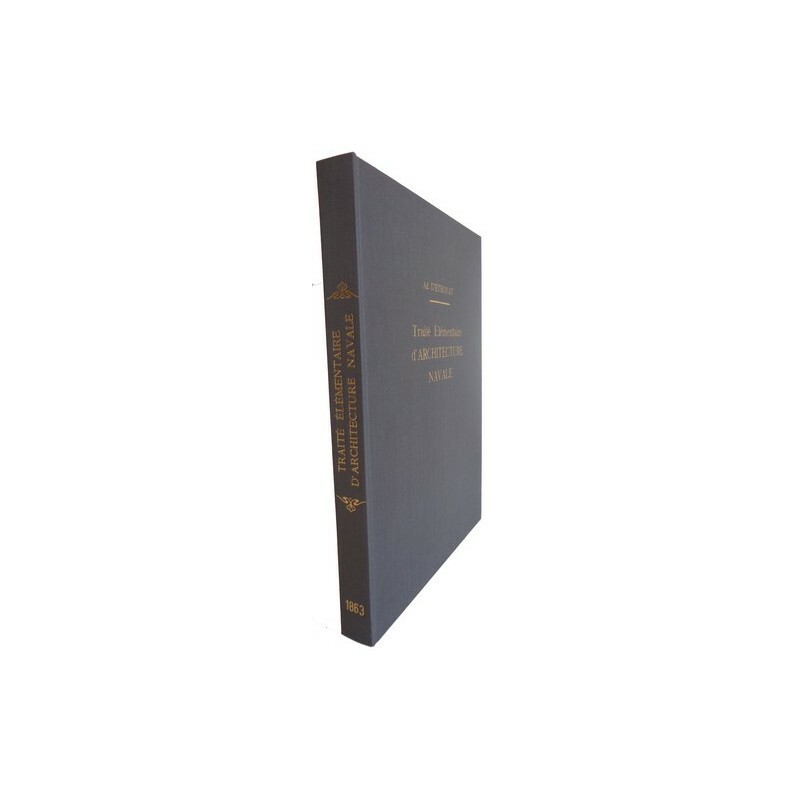 This work in three parts is invaluable to modern readers who have no use for outmoded theories but who are seeking knowledge of the methods, practices, and techniques of shipbuilders in the 19th century. 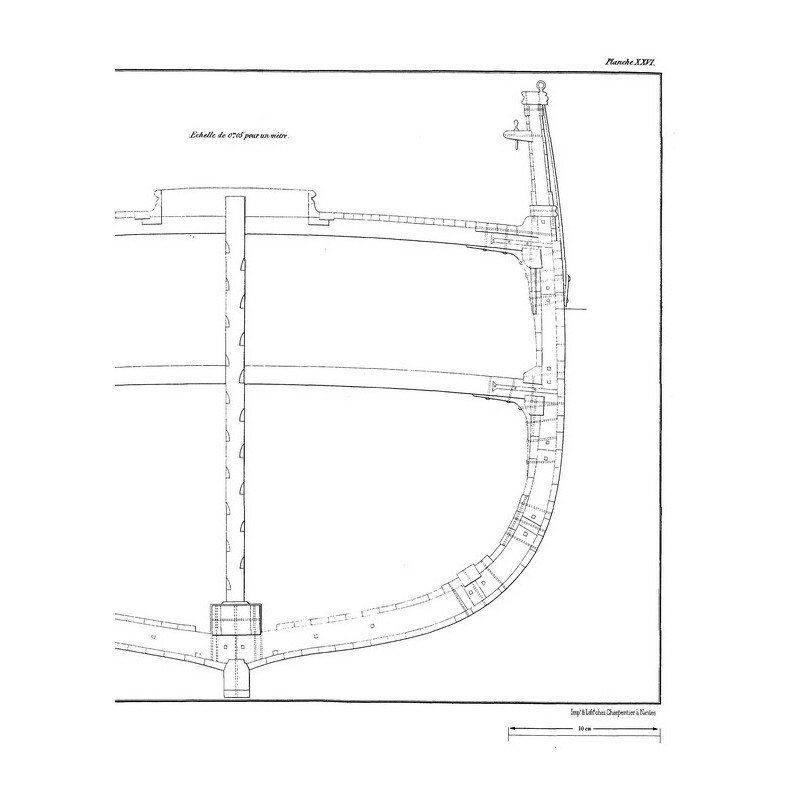 The first part covers the plans for the ship: drawing implements (instruments and planning tables) - Scales - Projection - Sections - Development - (illustrated by plates 1,2, & 3) - Drawing estimates - Molding Room - Cant timbers - Raked bars - Beveling of timbers - Comparative forms - Steamers - Types of boats. The entire section is illustrated by example with the plans of coastal lugger , a from Vannes (plates 2,3, & 4), a round stern brig, a decked launch, a discovery lugger (plates 5,6, &7), a square sterned lugger (plates 8,9, 10, & 11). Plate 12 reproduces the plans of the corvette the Naiade; plate 13, an 800-ton cargo corvette; plate 14, steamers; plate 15, a 142-ton merchant brig; plate 16, a launch and a skiff for vessels and frigates. Part Two covers ship's reckonings, a somewhat dry but indispensable section illustrated by the computations for a 24 meter commercial brig (plate 18) and a three-masted merchant ship (plates 19 and 20). 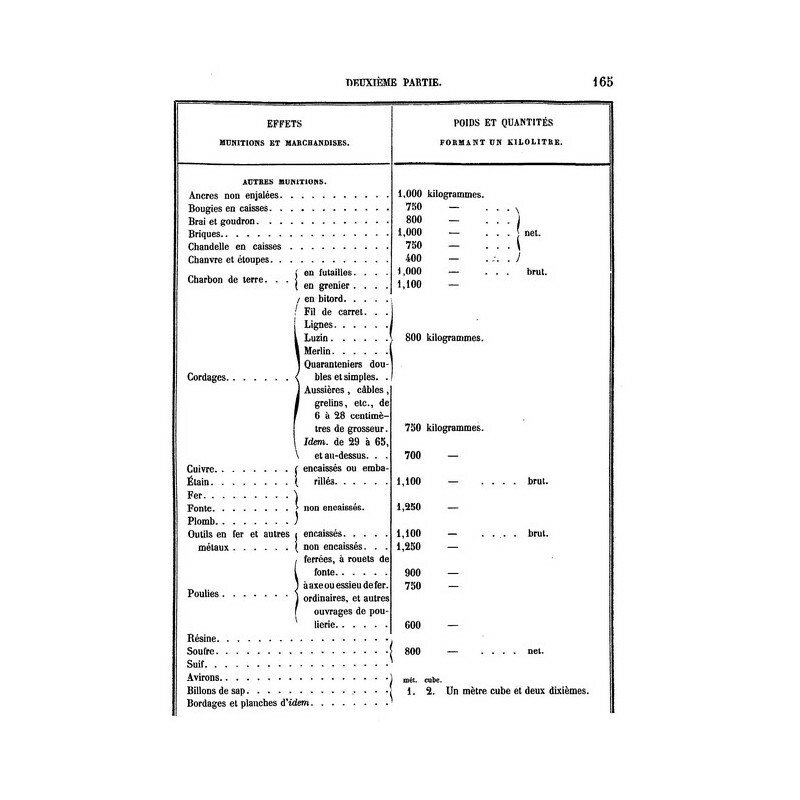 Several comparative tables illustrated by plates 21 to 25 explain how problems were presented by the fitter-out to the builder, and how the latter resolved these problems through computations of gauge and displacement. Part Three, illustrated by plates 26 to 29 covers specific details of construction. 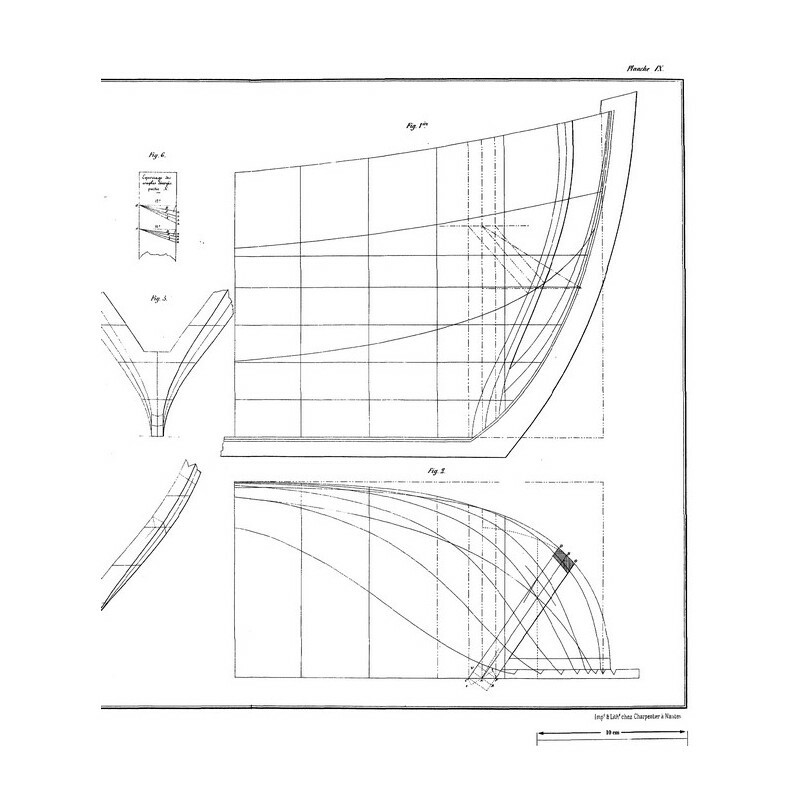 Based on the estimate for the construction of an 800-ton three-masted merchant ship, the author successively describes: - Building the construction site in the yards - working the keel - positioning the masts - Building the bow: gripe, stem, counter-stem, connecting knees, cut-water, and knightheads - Building the stern: the stem-post, dead wood, transom, and fashion piece - building the ribs - timbering - building the deck - topsides. 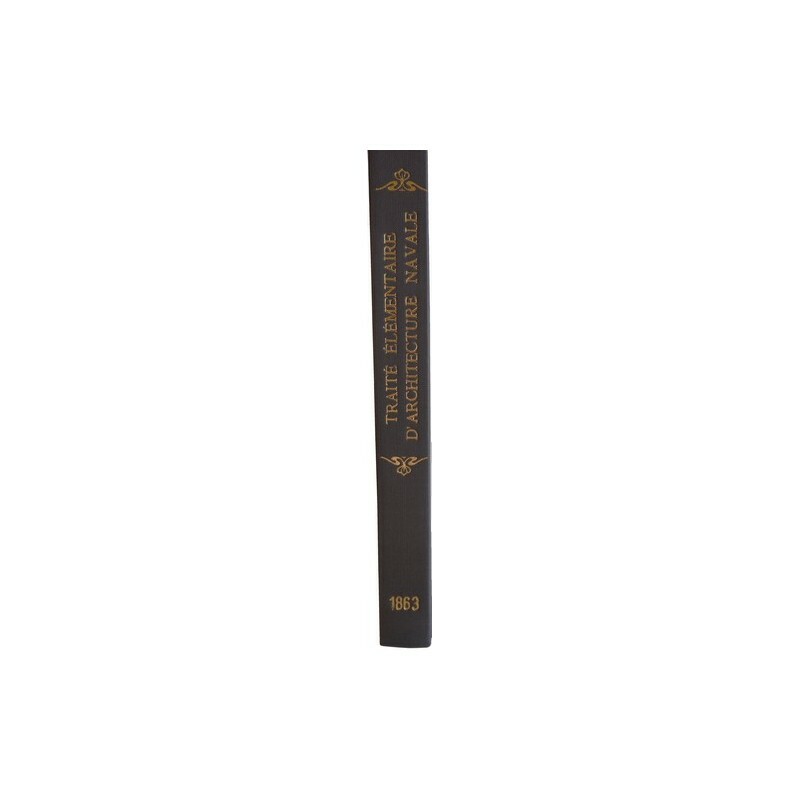 A special chapter covers the guide vane. 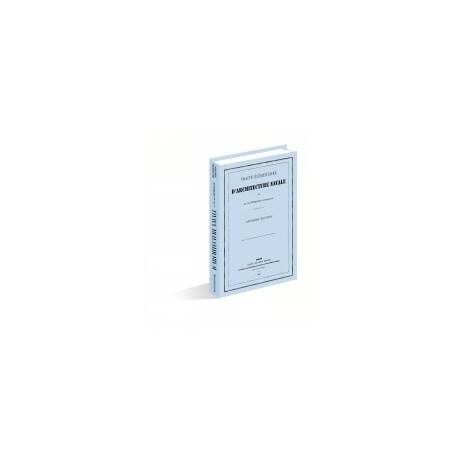 An indispensable tool for the naval carpenter and the builder of historical ship's model - of use to the sailor as well as the yachtsman - this practical work, the most complete in its period, should be found in every naval enthusiast's library.